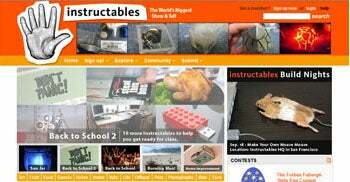 The "wisdom of the crowd" model works very well for how-to and advice sites like Yahoo Answers and Instructables. The content at these sites is created and contributed largely by the communities of people that frequent the sites. At some of the sites you can ask a question, and then read what informed members of the community have to say about it. 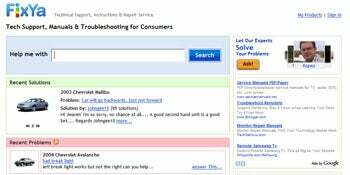 Yahoo Answers: One of the best examples of community participation on the Net. At Yahoo An­­swers, regular folks write in questions ("How do I get the ring around the collar off of my white dress shirt and make it white again?") and site users offer helpful answers. The answers are rated on usefulness by other users. HowStuffWorks: The perfect site for the endlessly curious, it lifts up the hood on everything from carburetors to communism and explains in simple terms what they are and how they work. The explanations aren't very deep (most visitors don't want to read Das Kapital anyway), but it's the breadth of the topics the site explains that's so impressive. Lynda.com: To learn how to use new software, we used to sit in darkened hotel conference rooms watching a bored instructor drone on with a training demo and a laser pointer. Or we bought a manual to go it alone. Neither of those approaches works nearly as well as the subscription-based online videos offered by Lynda.com, which teaches you to use just about any creative, design, and development software you can think of. Instructables: Learn how to make anything from a corsage to a catapult. Users write in about what they do or have invented, and how they did it. The site originated with guys at the MIT Media Lab who needed a place to demonstrate their latest inventions. FixYa: Your iPod just flat-lined. Don't panic, and don't throw it. At FixYa, a team of experts and a large group of users address common tech and gadget breakdowns and how to fix them. You can get help by posting a message on the site or by having a Web chat with one of the experts. 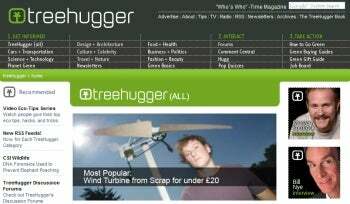 Treehugger: Here you can find a lot of information on how to live greener every day. The site specializes in covering the "green" as­­pects of many parts of life-everything from food to business to recreation to fashion. You'll also find news and views on the Green Movement. Livemocha: Livemocha (in beta) is a new, free approach to learning new languages, enhancing the process by establishing learning alliances with "language buddies" from around the globe. Dictionary.com / Thesaurus.com: The English language is complicated, and in some ways, illogical. As such, I need a good user's manual for it almost every day. Here it is.